SO, my degree students have now all been graded and are awaiting their results after four non-stop days of marking, external exams and exam boards. 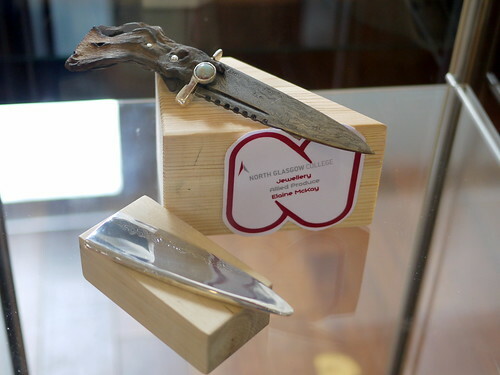 Their degree show is tomorrow night and I am looking forward to that immensely. 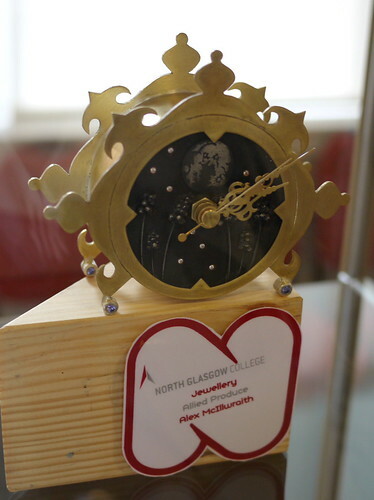 Unfortunately, it means that we've slightly neglected our other students and I forgot to mention that the HND, HNC and NQ students have been working hard to get their own entries ready for the prestigious Glasgow-wide competition run by the venerable Trades House of Glasgow. The Trades Hall is a lovely building, but it is not really suitable for the exhibition of the work which they very generously sponsor. 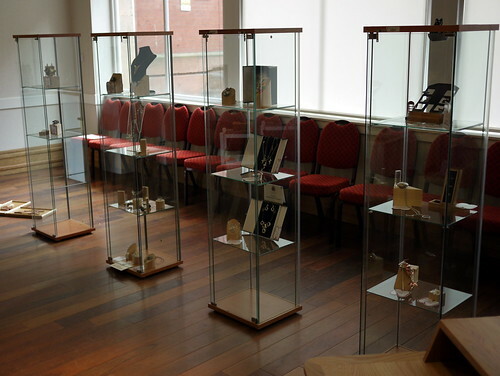 This overview of the display shows that the jewellery is not, perhaps, shown to best advantage. 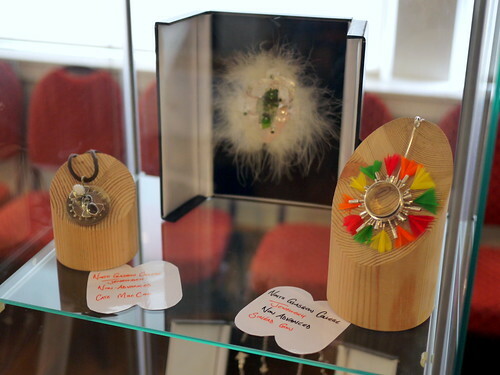 However, that is not in any way to detract from the fact that this is a fantastic competition and very, very popular with the students and general public, covering not only jewellery but fashion, furniture-making, photography, stained-glass and a wealth of other craft subjects. 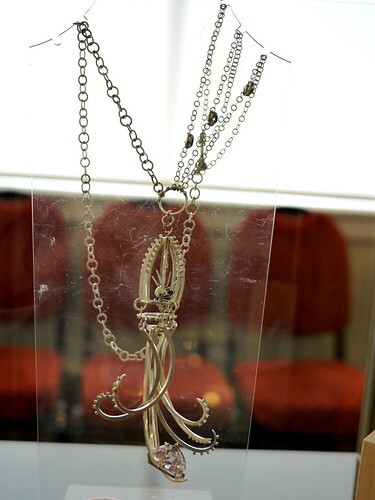 On the left is a pendant by Arturo Lopez, also in the first year. 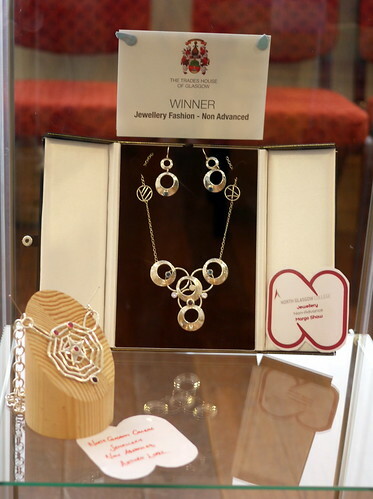 I rather foolishly forgot to photograph the other prize we won, the "Advanced Jewellery" category, won by Imogen Doherty, but I will post that next week when the prizes come back. After a flying visit to this show, it was off to Glasgow School of Art For their degree show but I will post that tomorrow as I can't be bothered editing all the photographs just now!